For 3 weeks in July students from the University of Southampton were working alongside those from Budapest, Cambridge, and Pecs excavating the Middle Bronze Age Tell at Százhalombatta, Hungary. This season’s work focused on understanding the next phase in the settlement history, marked by the disappearance of the major houses (that we first found some years ago) and the road through the settlement. There seems to be a general change in the characteristics of the site, corresponding with shifts in the pottery from Koszider to Vatya forms. Alongside their work at the site, the Southampton students visited the Matrica Museum and Százhalombatta Archaeological Park where they saw a range of reconstructed Bronze and Iron Age houses, and Iron Age tumuli. 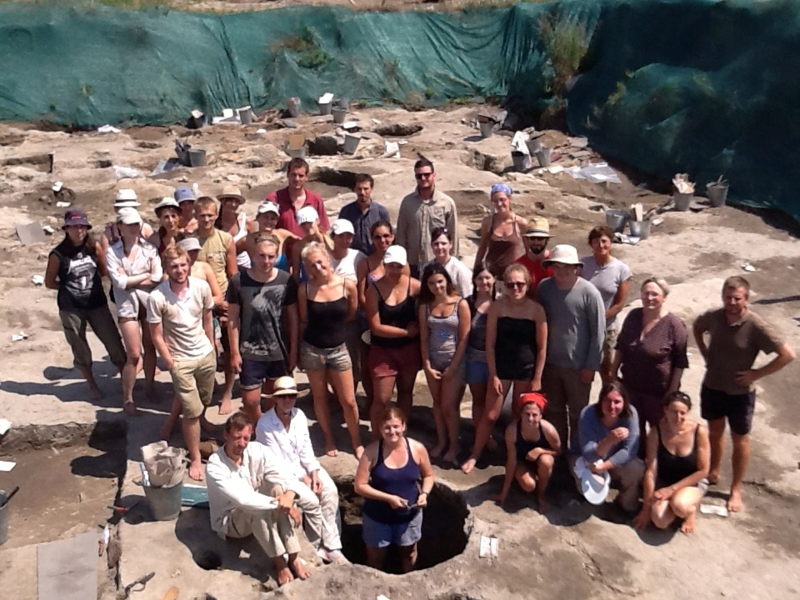 Dr Alice Choyke, an expert on bone tools, visited the site and gave the students a seminar. They have also made visits to Budapest, including a trip to the National Museum of Hungary.